“We naturally feel honored receiving recognition by Gartner, Inc., the foremost of authorities on information technology research. 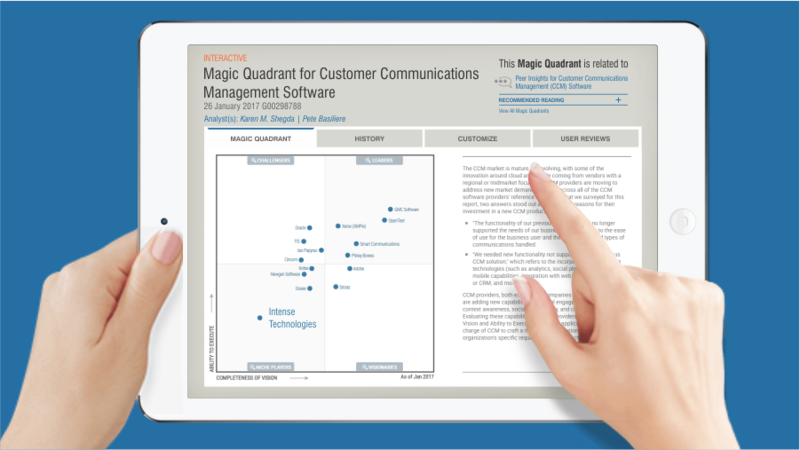 Being positioned in the Gartner Magic Quadrant in the niche category is a matter of pride for us. We are continually investing in building solutions to address complex everyday problems of our clients, who are an authority in their respective domains of telecom, BFSI, healthcare, utilities, etc. We feel this will help us increase our reach penetrating into global markets. Being identified in such highly prestigious reports, we feel, has always been a welcome development for technologists and vendors due to the high profile nature of Gartner, Inc. Companies rely on Gartner’s reputation in their decision-making process. We believe Intense Technologies’ mantra of making businesses more agile by leveraging existing underlying infrastructure to address changing needs is gaining the attention of not only the present but also prospective clients, along with highly-regarded tech research titans like Gartner, Inc.
Intense Technologies Limited is a global enterprise software products company, headquartered in India with a strong and emerging presence in USA, LATAM, EMEA and APAC. Our enterprise software products are used globally by Fortune 500s for digital transformation of customer centric business processes resulting in improved revenues, greater customer centricity and reduced operational expenses. We serve customers in 35 countries across 4 continents, with a 70% market share in Telecom in South Asia. Today, we process 25 billion USD worth of client revenue data and have a 500 million subscriber base across our engagements. Intense Technologies has sales offices in Singapore, UAE, USA and UK.